The coroner arrived to inspect the scene and speak to witnesses. Believing he may have turned the gas on intentionally, the coroner ordered Sheeran’s brother-in-law taken into custody. There is no record of Michael Sheehan ever being charged or tried, however, so it seems that Ed Sheeran’s sad demise – gassed to death while clutching his trousers – was a tragic accident. 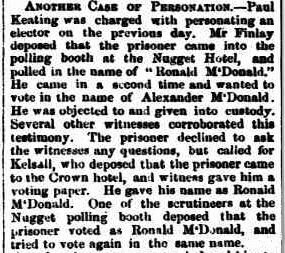 Problems with identification and record-keeping made personation (the criminal act of voting illegally under someone else’s name) an occasional problem in 19th-century elections. When discovered it was dealt with harshly by the courts. After a lengthy investigation by the police and the Victorian colonial government, Keating was convicted in April 1862 and sentenced to six months’ imprisonment. 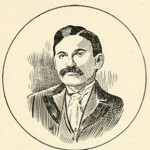 On release from prison, he went into gold mining in Ballarat. His subsequent fate is unknown. The 20th century Paul Keating was elected to the Australian parliament in 1969, later serving as treasurer (1983-91) and prime minister (1991-96). Bill and Gussie never married (some reports suggest she already had a husband). Gates continued to chase teenage girls, including Gussie’s younger sister Grace, Bera Beebe (whom he eventually married) and 17-year-old Kitty Brandon. 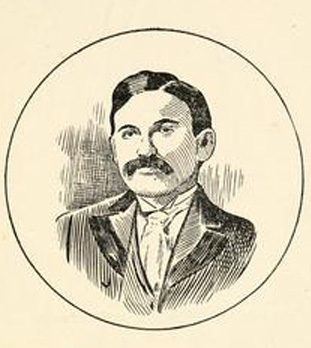 His antics later led to a bigamy charge, though Gates managed to avoid trial, possibly with bribes. In his lifetime Bill Gate dug up and squandered at least four different fortunes. He was mining a large silver deposit in Peru when he died in 1935. John F. Kennedy (c.1870-1922) was an American outlaw of the late 19th century. Like his more famous namesake, Kennedy was known to his friends as Jack. He started adulthood as a locomotive engineer but soon decided a much grander fortune could be made by robbing the railways rather than working on them. With a gang of accomplices, Kennedy carried out a string of train robberies in the 1890s, robbing at least seven mail or goods trains. His experience as an engineer gave Kennedy considerable inside knowledge. He also carried out each robbery with his face covered. Kennedy himself supported Hanks’ claim, though probably only to deprive the arresting officer of the $500. After his acquittal in the James trial, Kennedy was arrested for a yet another robbery. This time the evidence stuck and Kennedy found himself serving a 17-year stretch in prison. The ‘Quail Hunter’ carried out his last robbery near Wittenberg, Missouri in 1922. After holding up a mail train, Kennedy and his accomplice attempted to make their getaway but were ambushed by several deputies. A gunfight ensued and both men were shot dead.